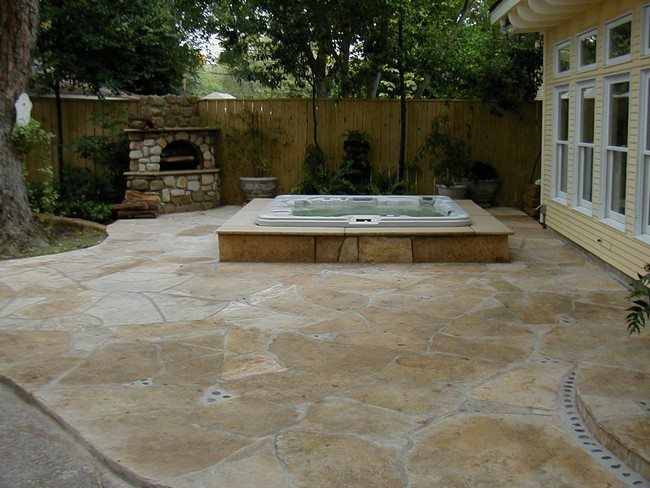 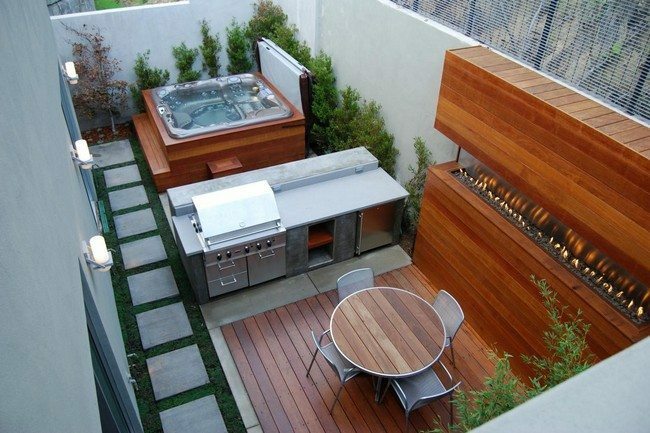 The outdoor fire pit adds a feeling of warmth and comfort in this backyard, when combined with the rectangular Jacuzzi. 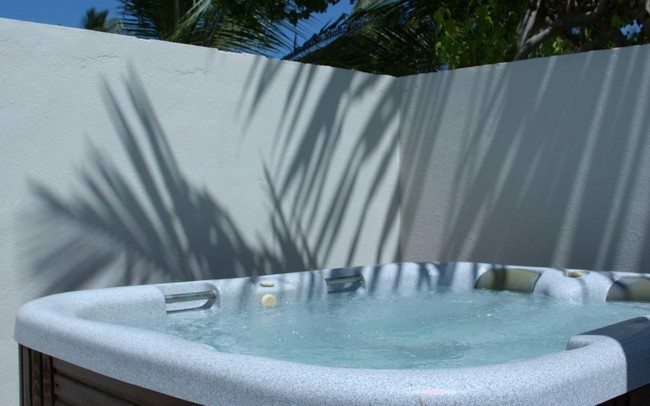 Since Jacuzzis are meant for relaxation, you should always ensure that you get the most out of the jacuzzi experience. 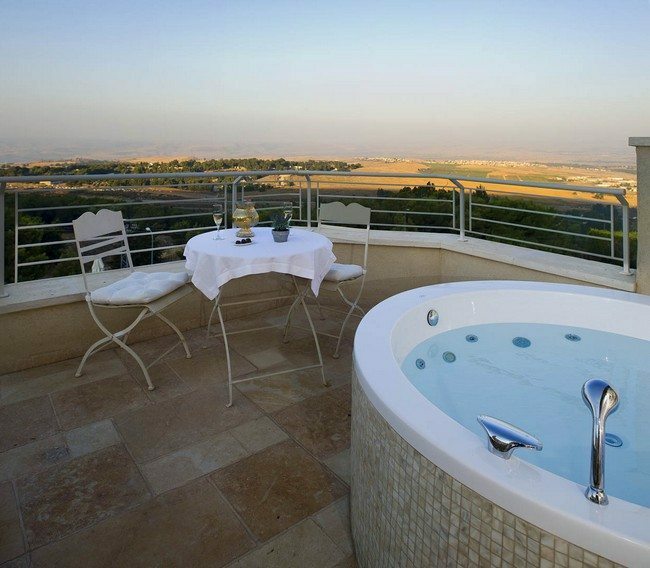 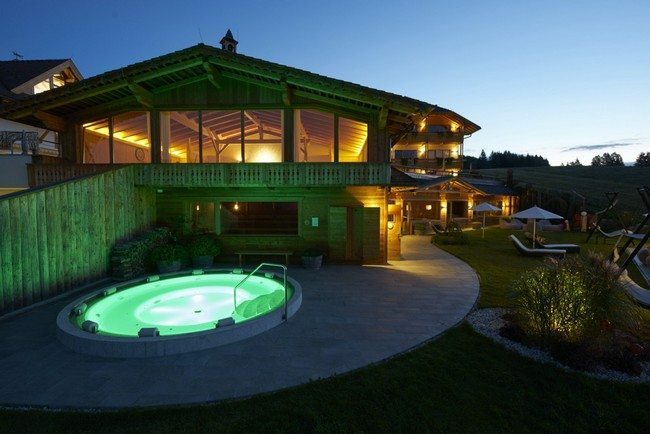 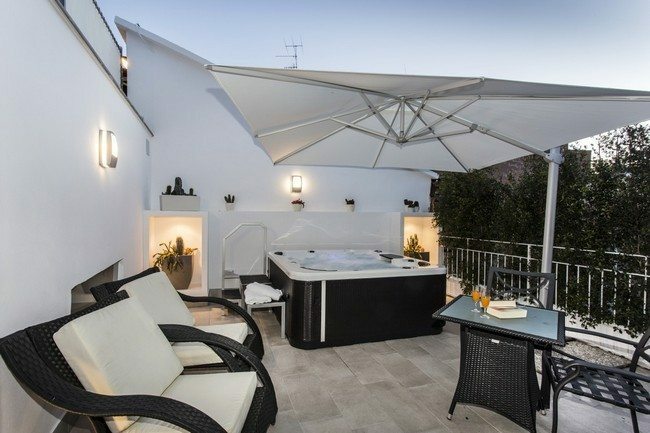 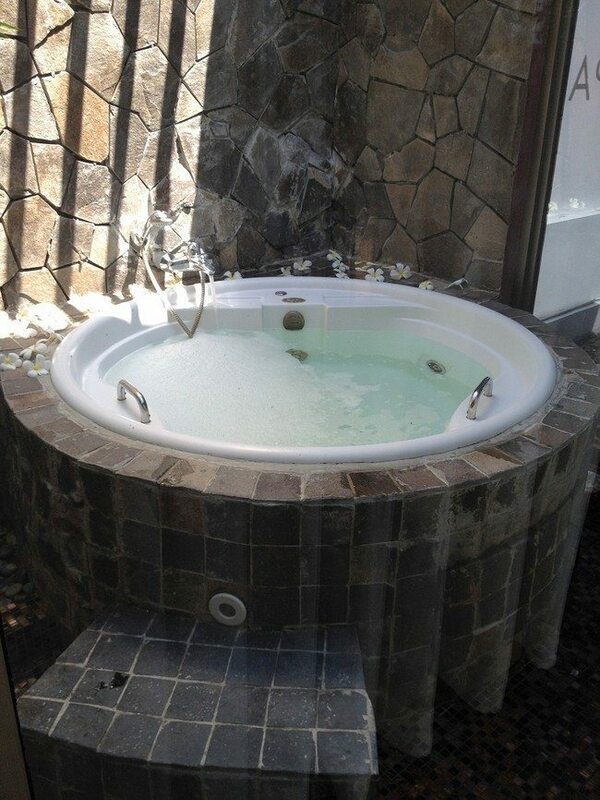 This jacuzzi makes the relaxation experience worthwhile due to the wine amnd soft and comfortable pillows and towels. 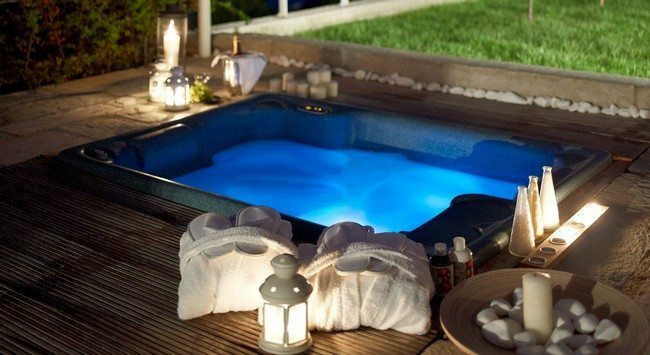 The lamp and candles provide the perfect dim lighting, which sets the mood for relaxing. 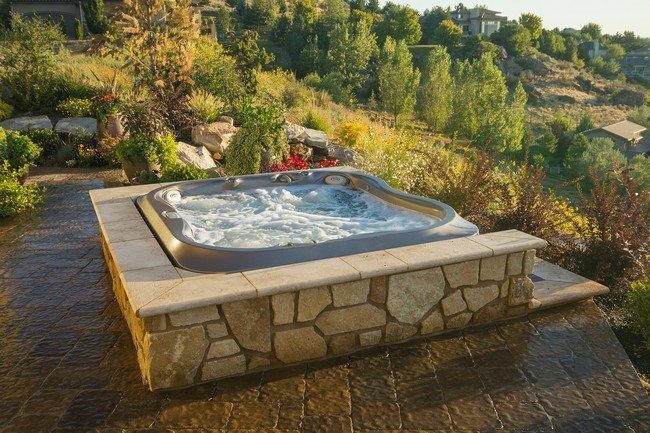 It is always important that an outdoor Jacuzzi be place in a private area, especially if you live close to a road. 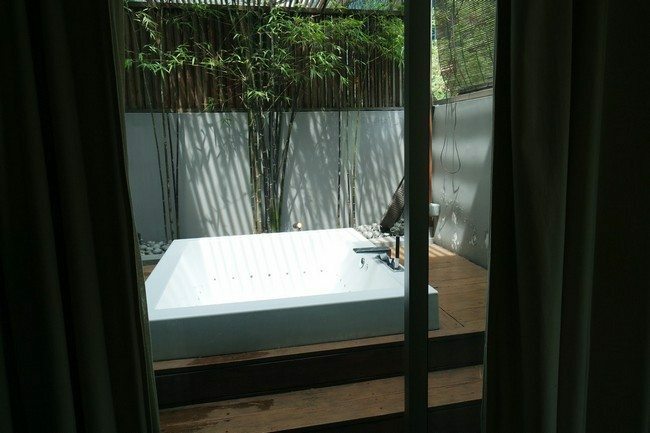 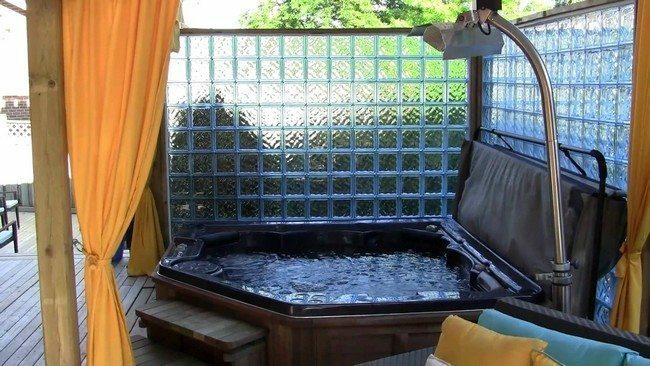 In this backyard, the people in the jacuzzi get privacy by being shielded by the many trees. 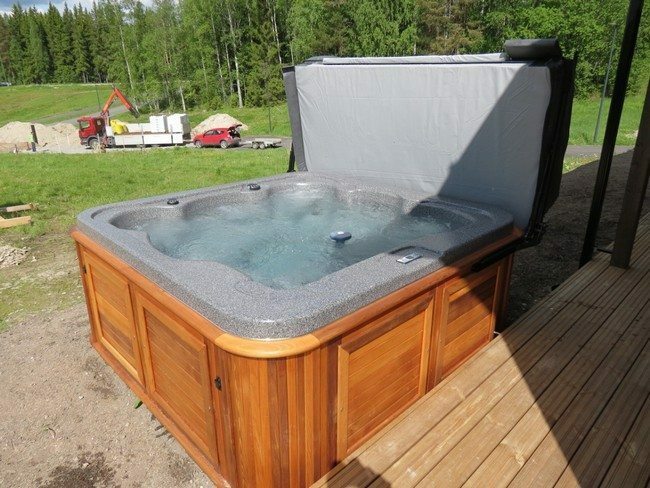 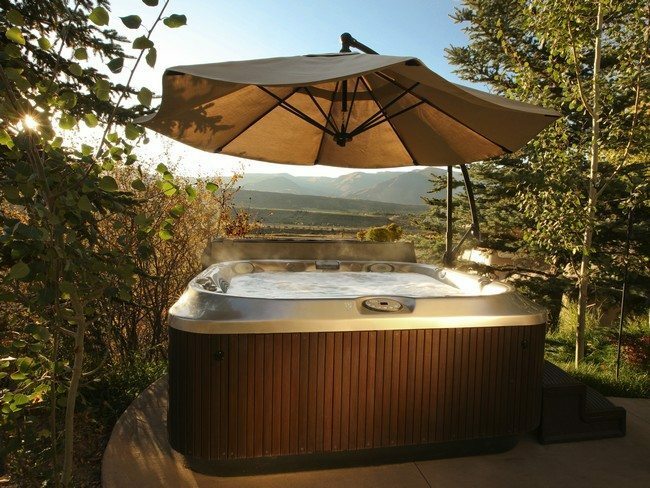 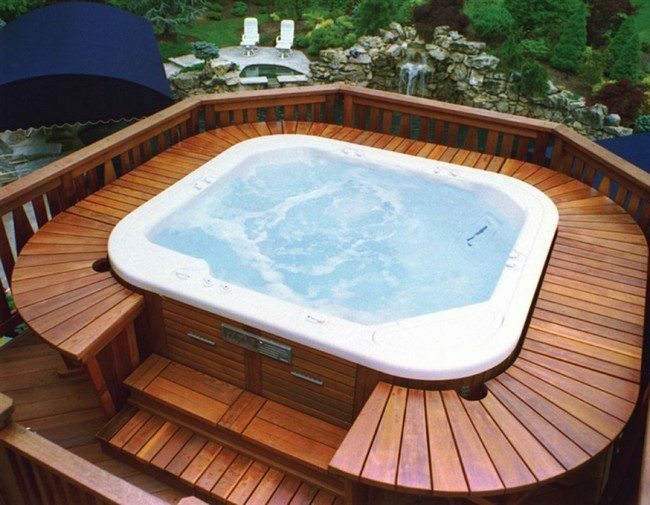 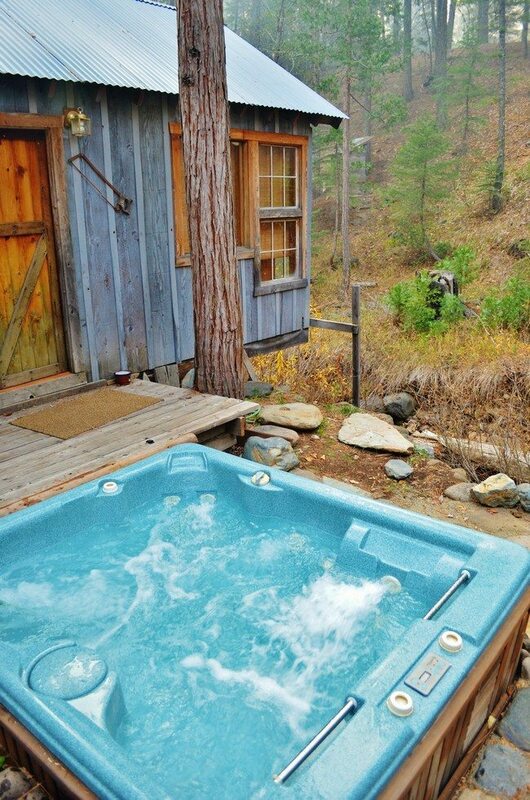 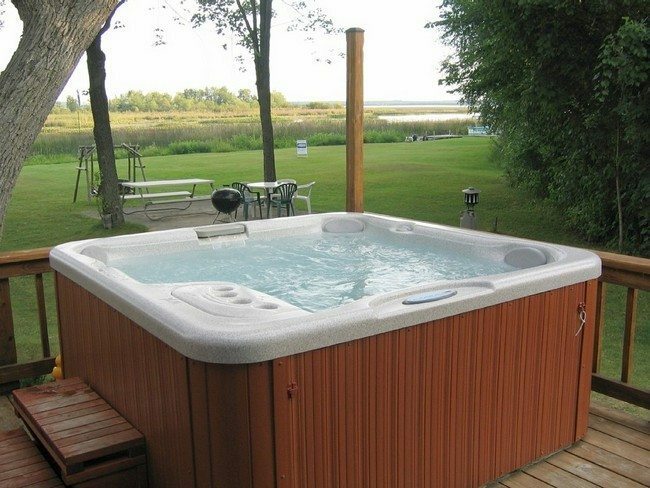 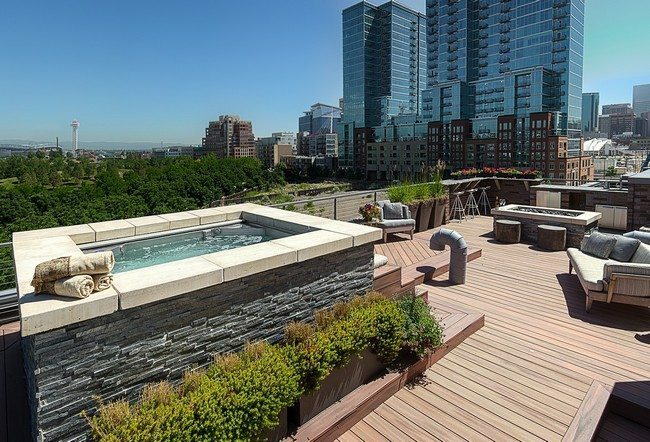 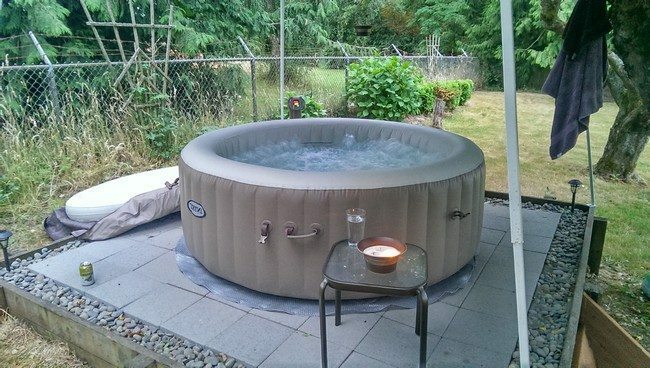 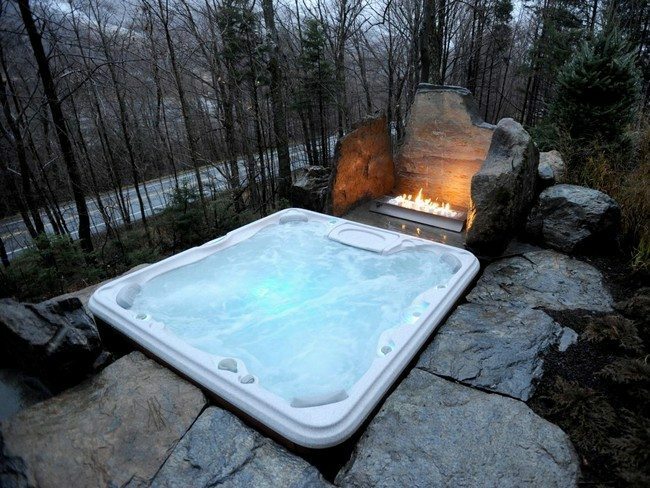 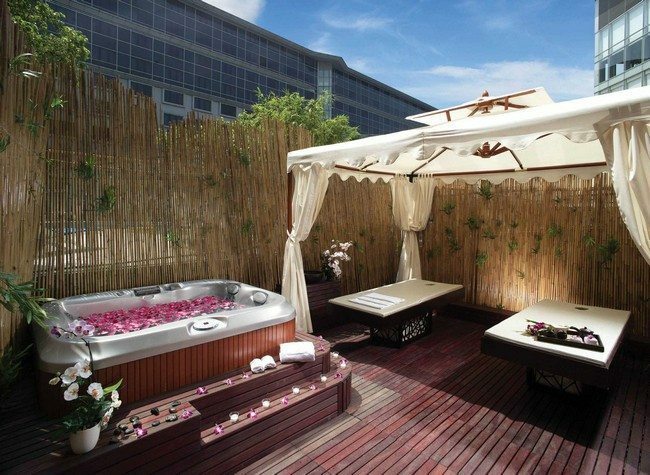 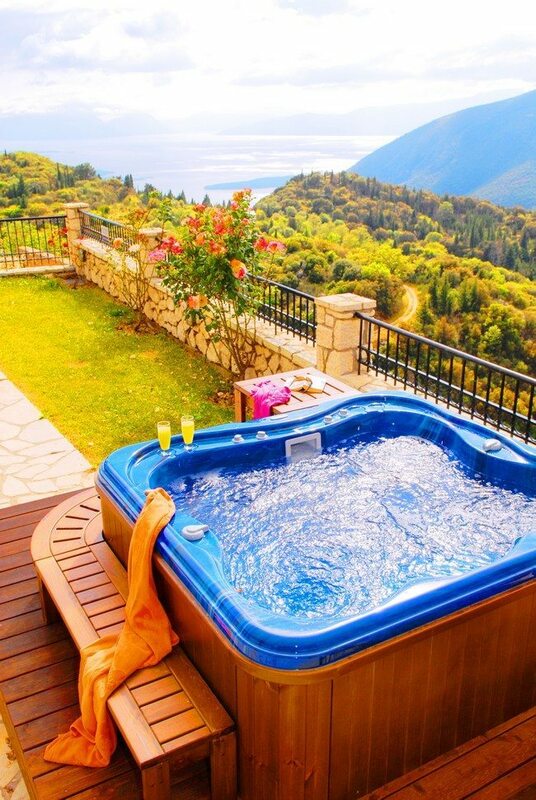 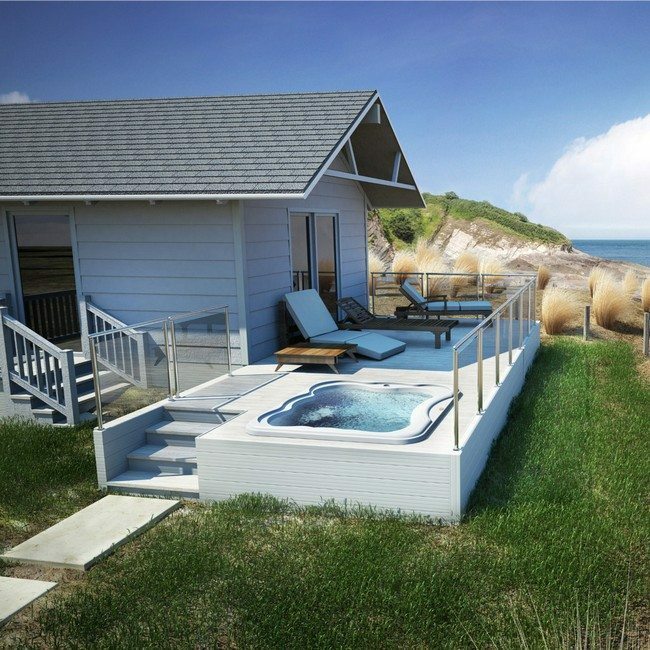 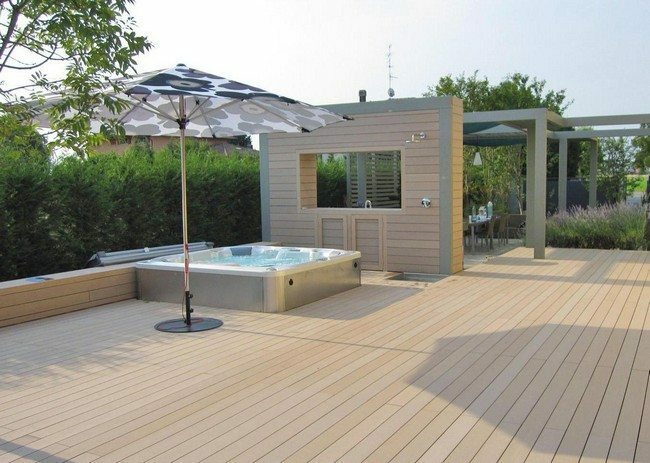 You can also place your outdoor jacuzzi on the deck or patio, instead of in the garden. 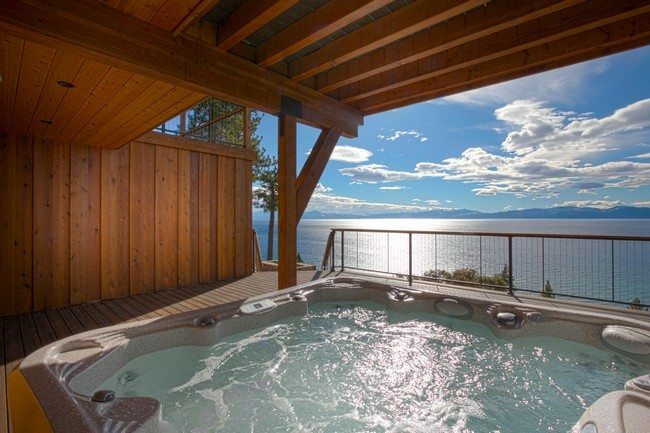 On this deck, you can either relax in the jacuzzi or soak in the breeze of the water on the patio furniture, all this while you enjoy the scenic and breathtaking view of the water and the hills. 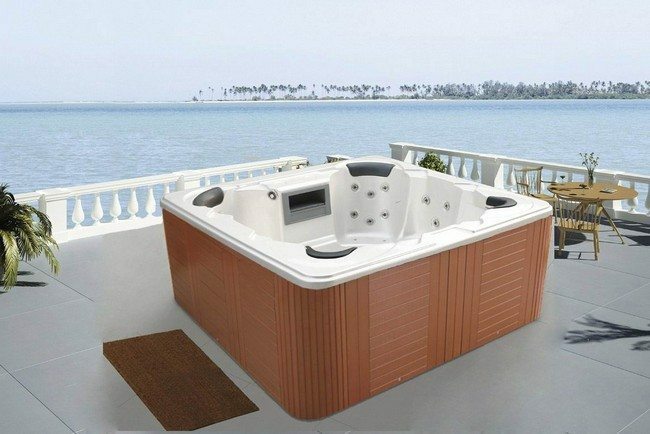 Jacuzzis are of different shapes and sizes. 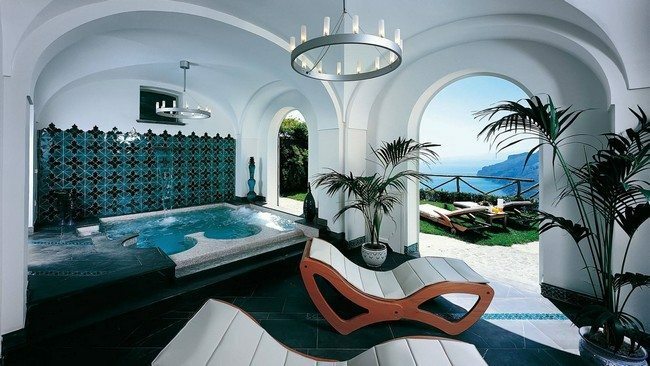 You should always choose one that you are most comfortable with. 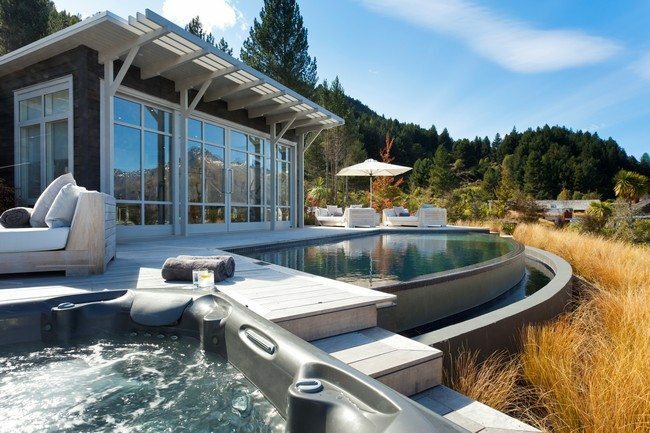 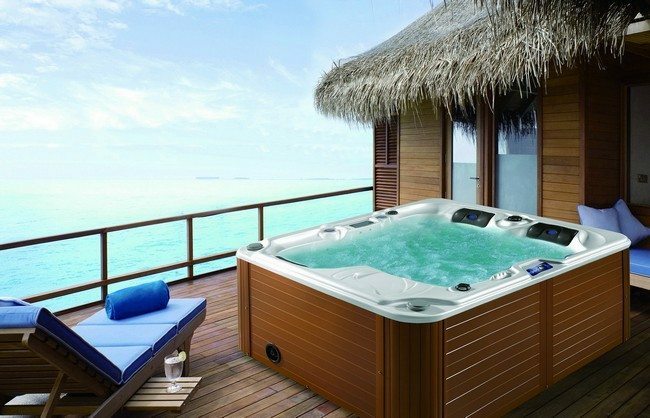 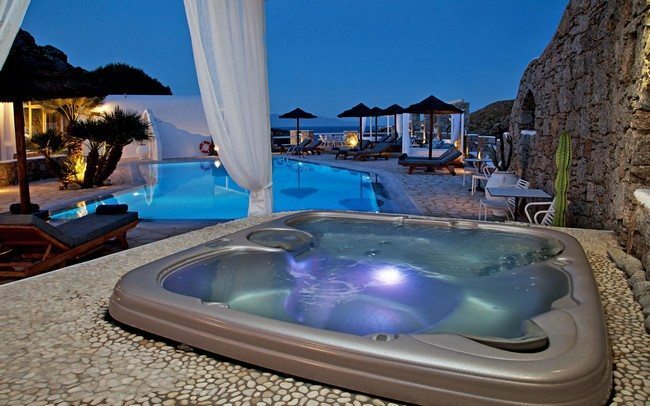 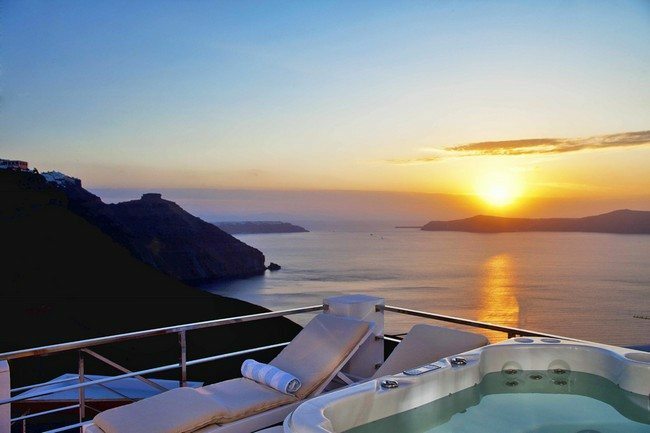 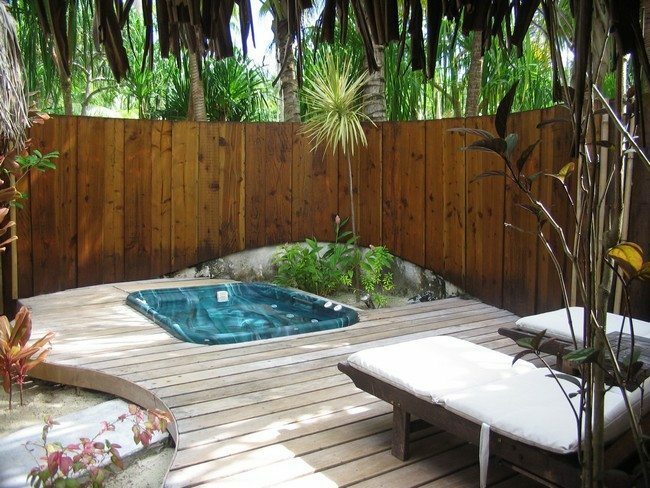 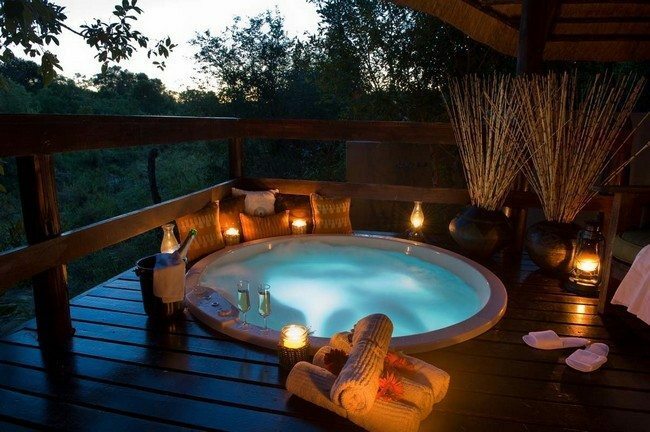 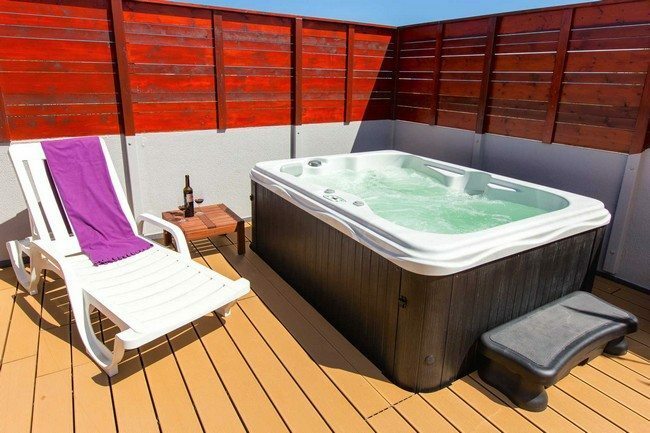 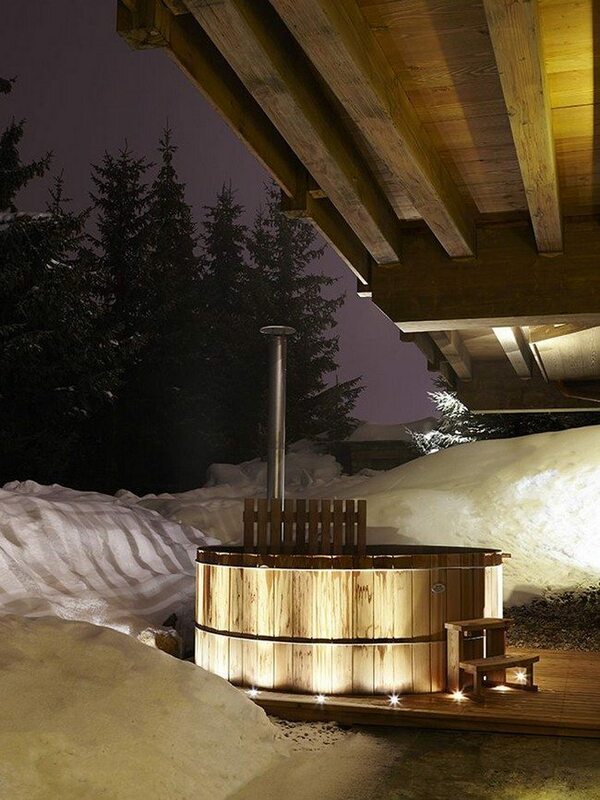 This jacuzzi on the deck is eep, allowing you to immerse your whole body into the water. 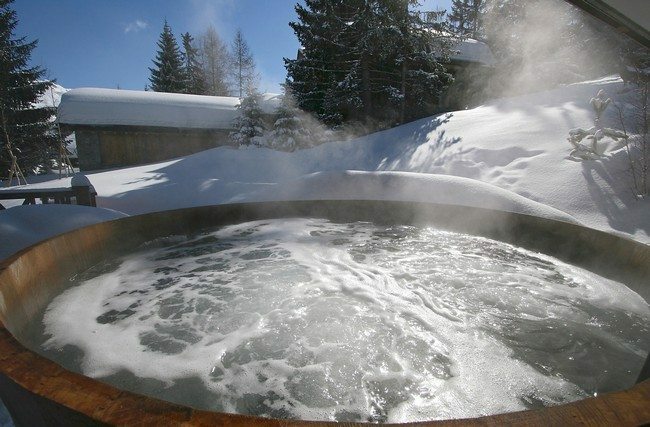 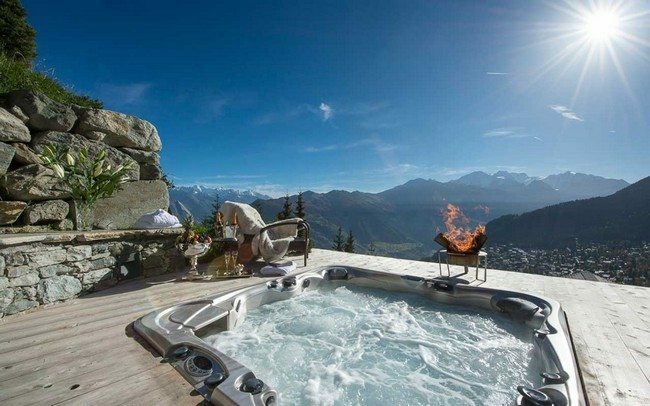 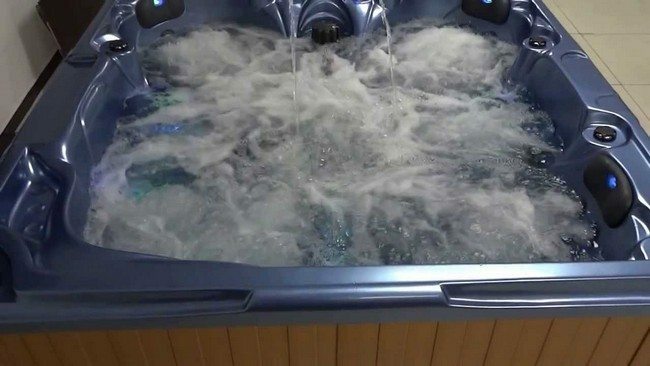 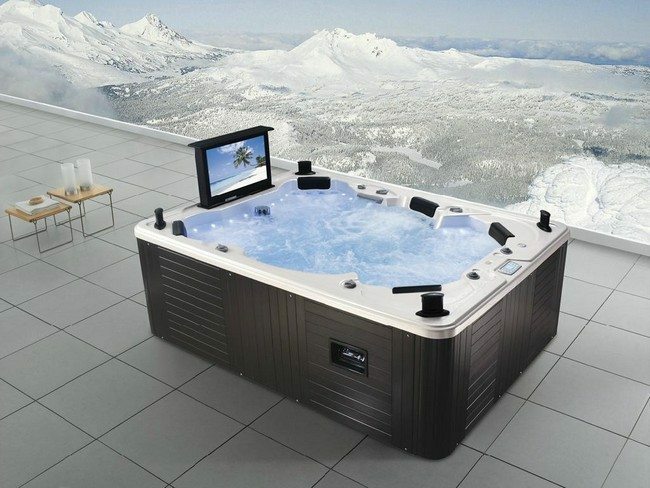 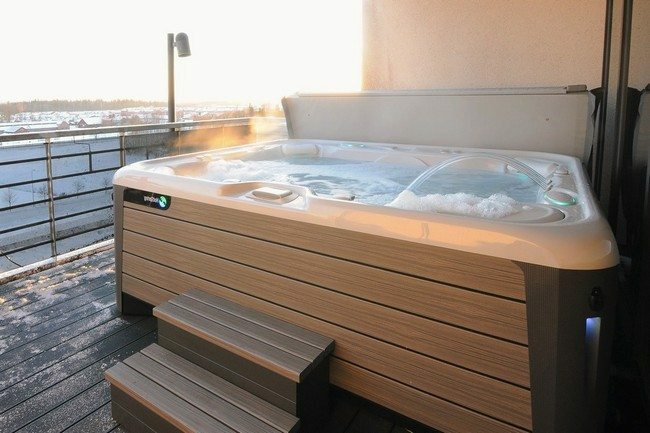 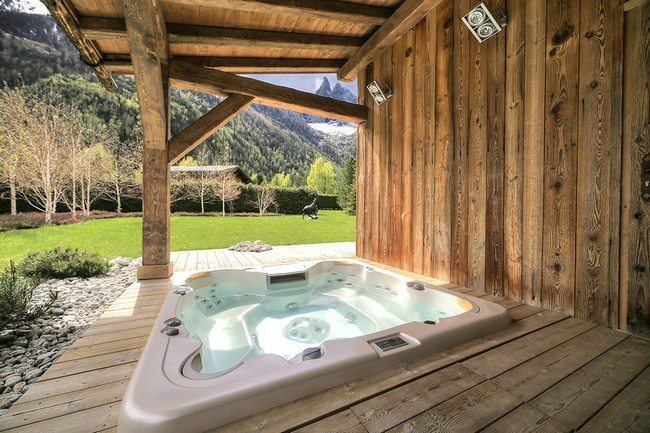 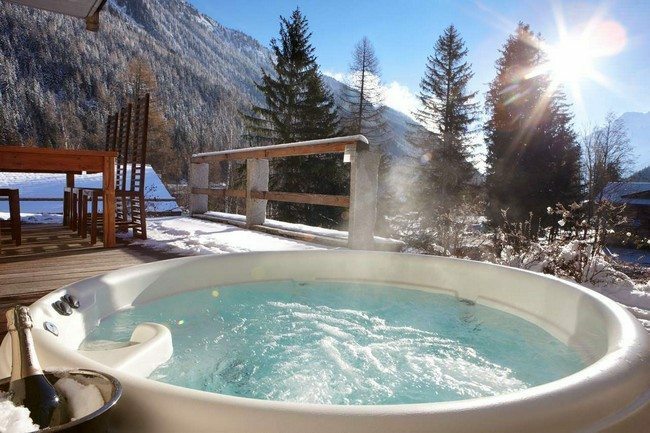 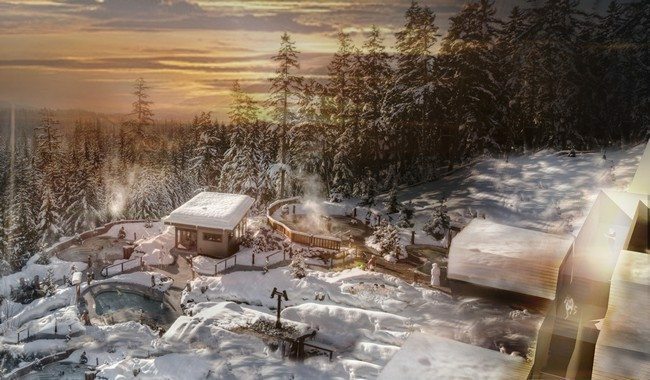 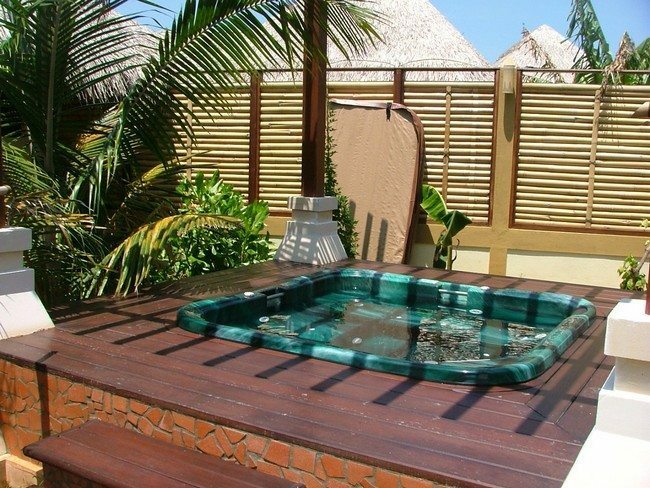 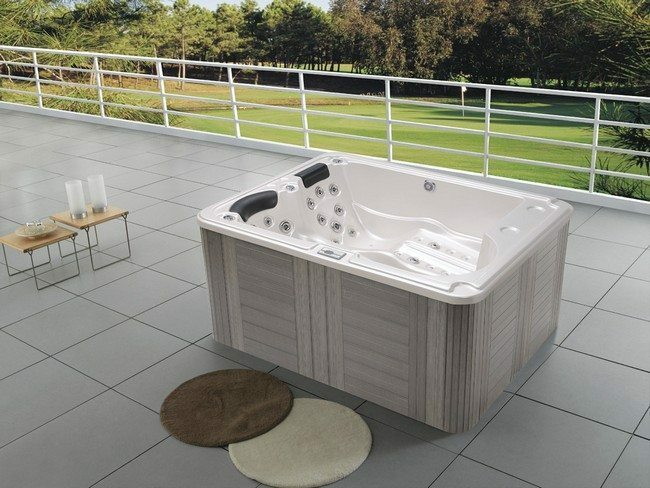 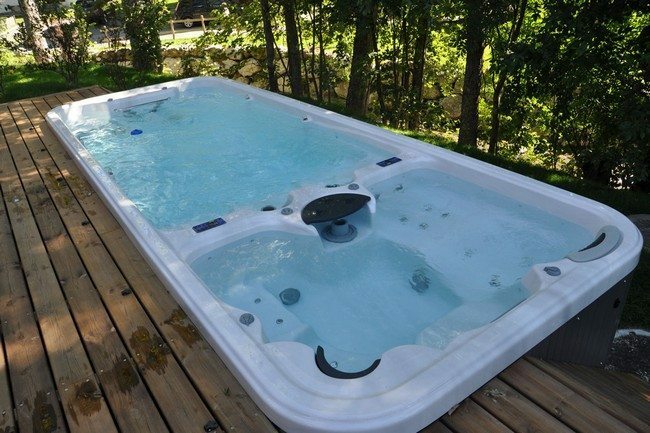 The exterior design of the jacuzzi is in line with the general design theme of the exterior of the house and the deck, resulting in a neat and visually appealing look. 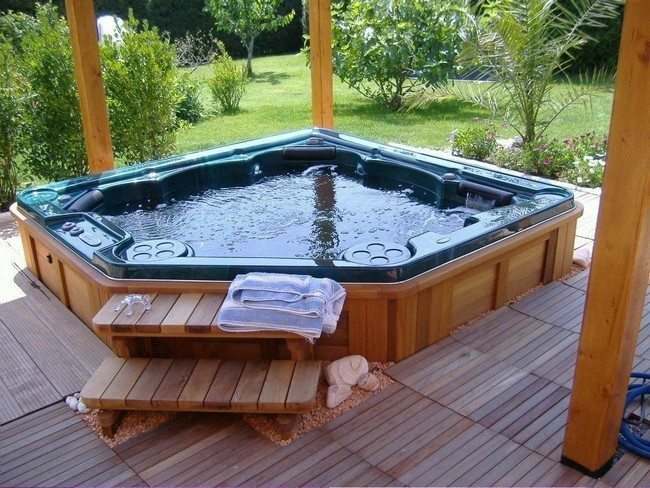 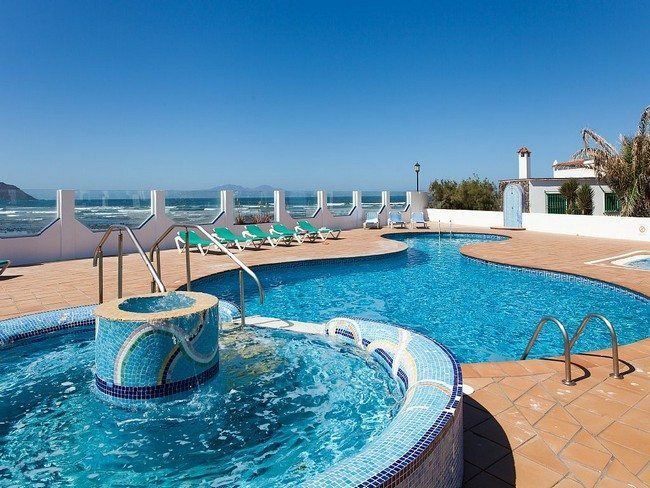 If you have a large and spacious garden and a generous budget, why not get a jacuzzi and a swimming pool? 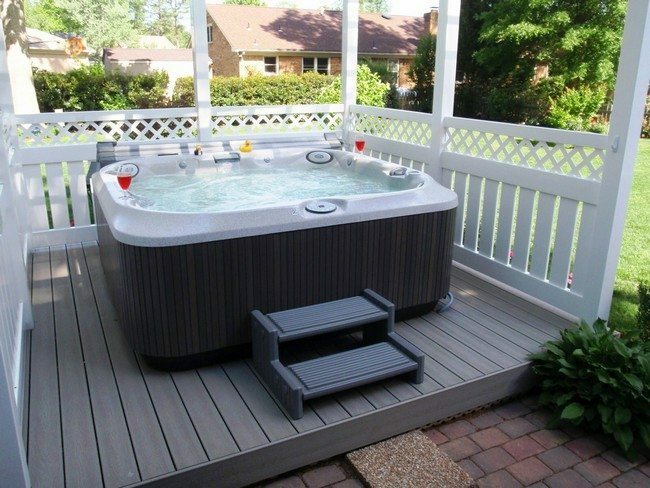 This way, you have multiple relaxation and entertainment options and the design of your garden improves. 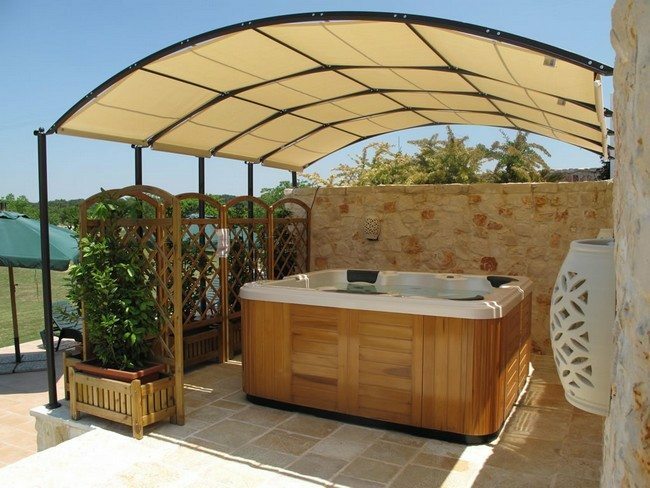 If you want your outdoor jacuzzi to be shielded from the direct rays of the sun or from weather effects like rain, then you can install it under a pavilion such as a gazebo. 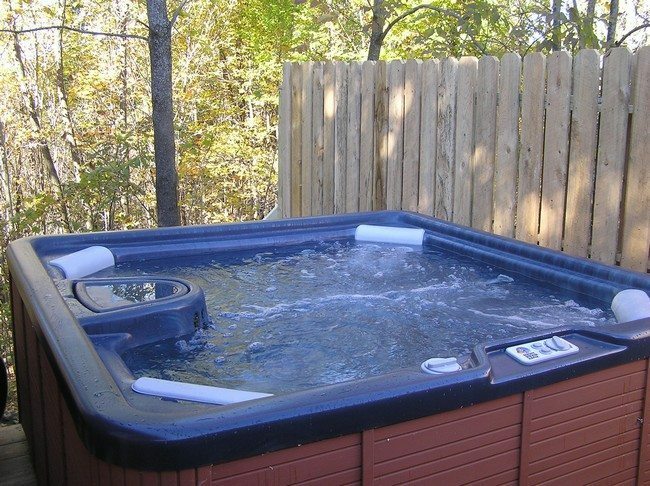 Placing your jacuzzi near the fence or in a corner offers you more privacy, especially if your neighbors live close by.